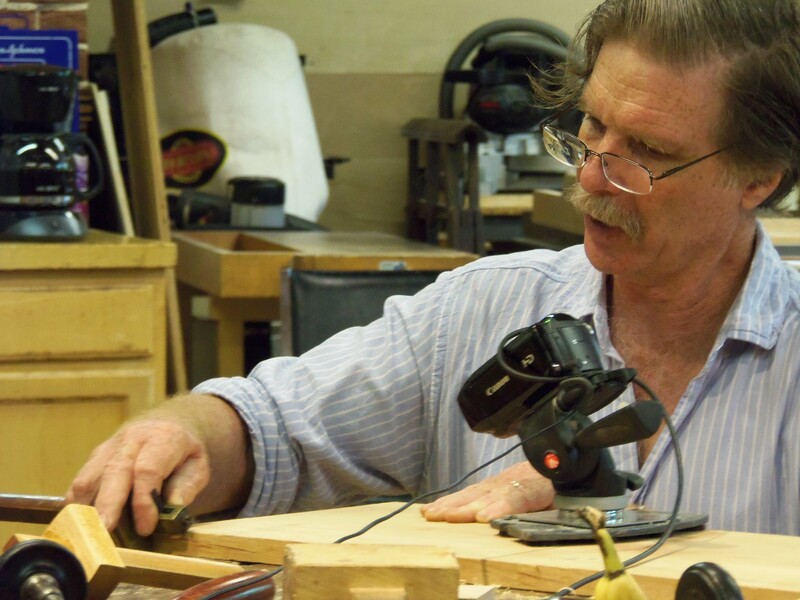 In addition to doing demonstrations for the Highland Woodworking 35th Anniversary One-Day Sale this past Saturday, Roy Underhill stuck around on Sunday to teach a day-long demonstration workshop on building a standing desk (pictured left). 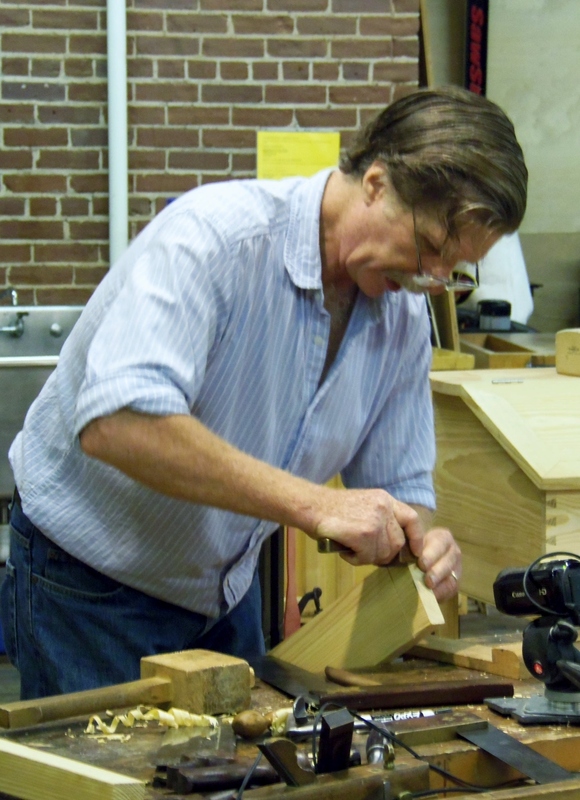 While the actual process of creating this desk from start to finish would take much longer than the allotted time for the class, Roy demonstrated the different techniques needed to create the different parts of the desk, as well as the joints needed to piece them together. 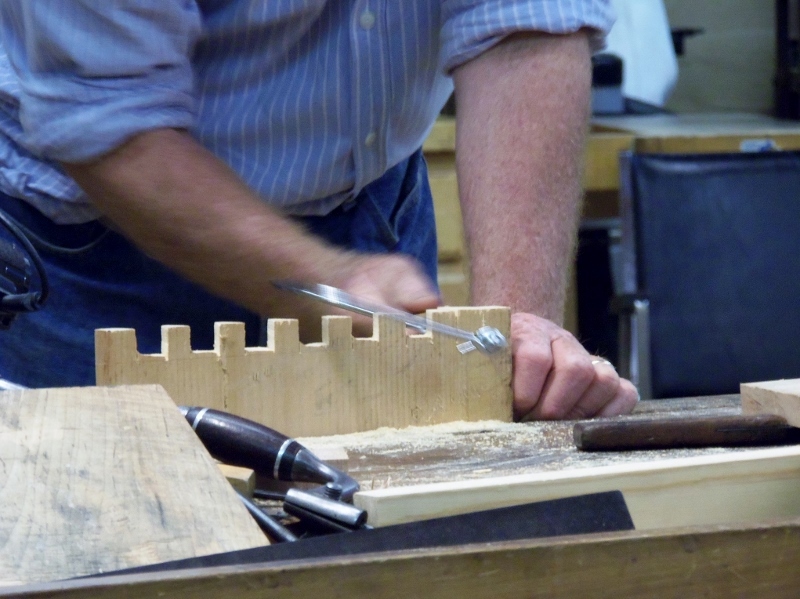 Although we didn’t take a finished product home with us, we all got to learn the skills needed to build our own and have Roy help us with our techniques. 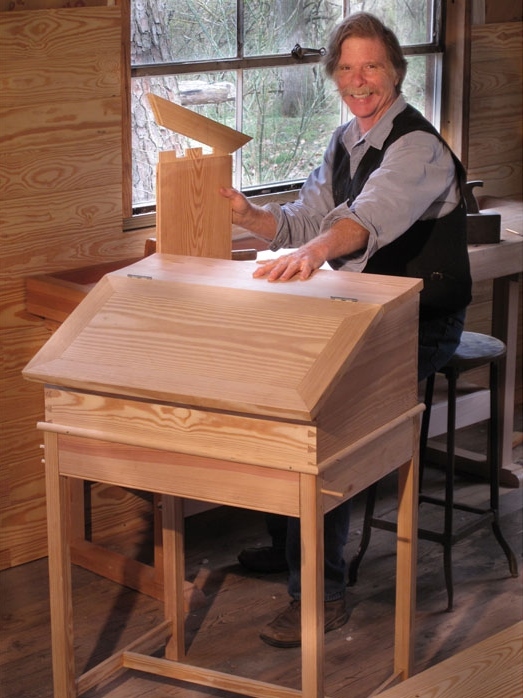 I have taken a few classes from Roy before this one, most notably during Woodworking In America a few years ago. 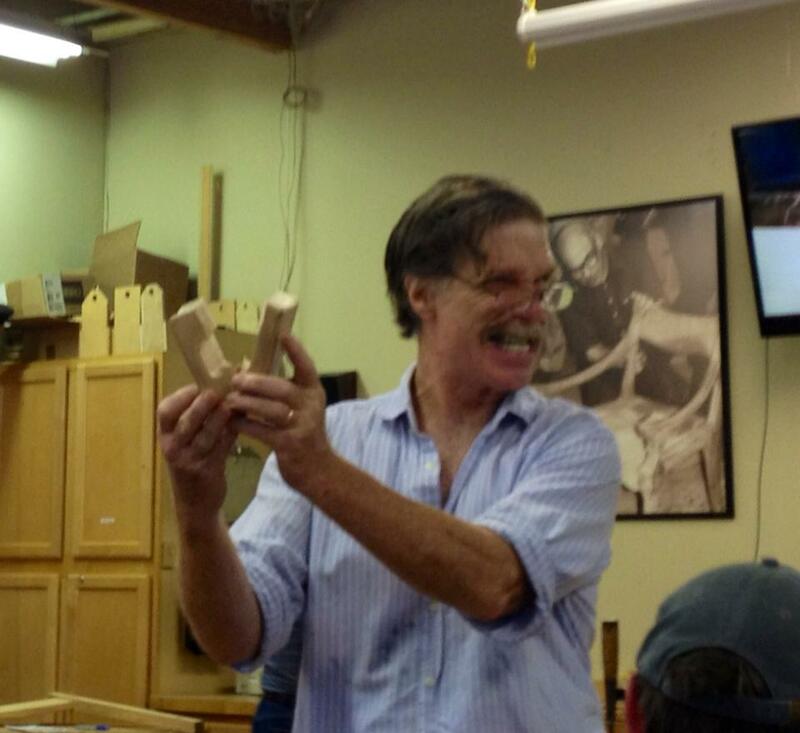 Not only is Roy a great teacher, but he is also very entertaining and definitely knows how to keep his audience. 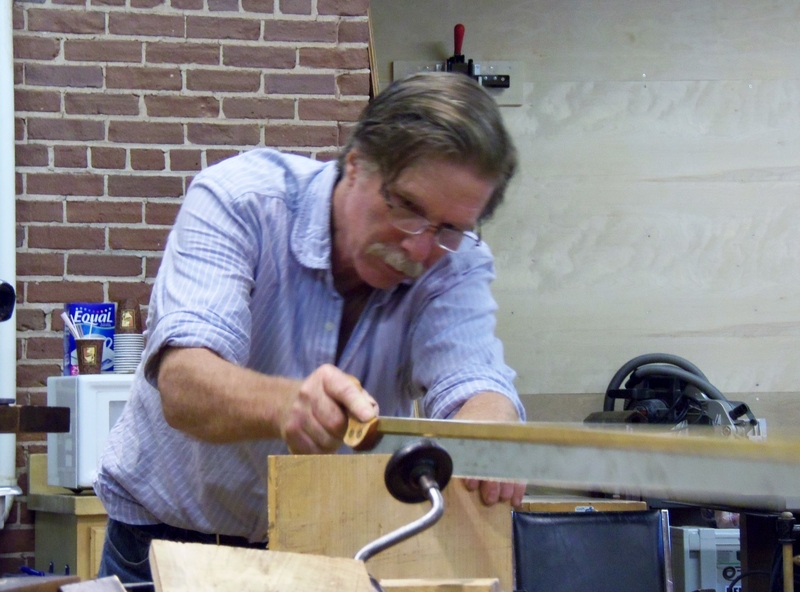 From using audience participation to create a “human workbench”, to the cool and smooth maneuvers of “Spoffer”, Roy had plenty of one-liners and musings to keep this demo class on its toes. Great looking standing desk. Is a plan available?